Very nice apartment and professionally well maintained. This property exceeded our expectations, it was very spacious, good location and had everything we needed. Amazing apartments, clean with all the facilities you need for a weekend away. 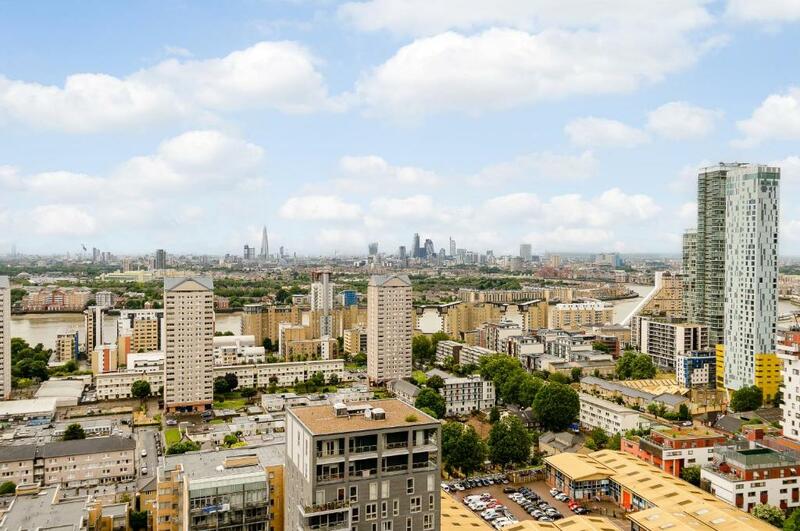 Great location close to DLR and tube to get into City. I would definitely stay here again. Concierge very helpful, friendly and polite. Brilliant communication by the company who manage this property . I would definitely use them again. 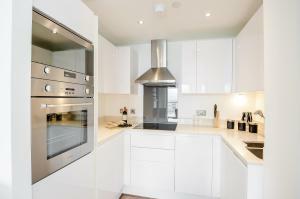 Very modern, clean and some lovely unexpected extras such as a goodie bag, toiletries and kitchen extras. Will definitely stay in a Native let apartment again. Everything was perfect. The location, a perfect room condition, and a stunning view from the terrace are amazing. Highly highly recommend the apartment. It was amazing! Location was beautiful, bed was really comfortable. Amazing staff and amazing service. Location is easy to find . There's a Tesco Express and a small Chinese supermarket at the doorstep. Apartment was quite well equipped internally Security is good Household supplies are adequate . You can ask for house cleaning and refill supplies if you stay more than seven days. That is fantastic for travellers . Lock in a great price for Native Canary Wharf – rated 8.7 by recent guests! Native Canary Wharf This rating is a reflection of how the property compares to the industry standard when it comes to price, facilities and services available. It's based on a self-evaluation by the property. Use this rating to help choose your stay! 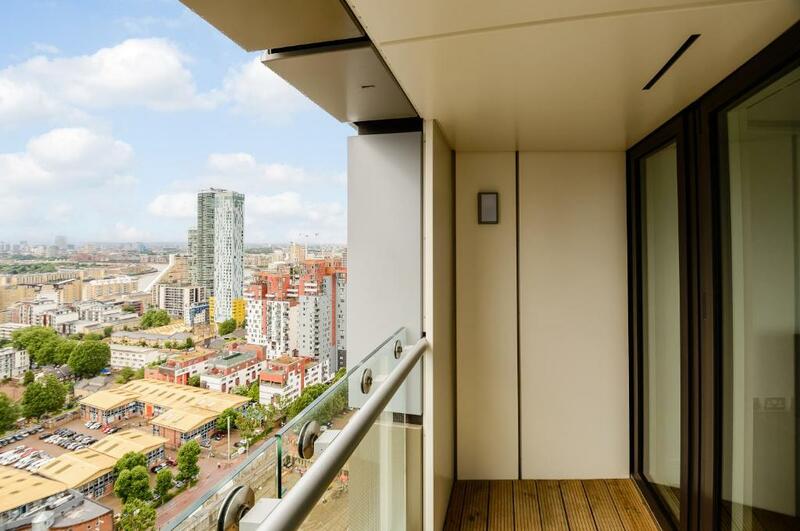 Native Canary Wharf offers a range of modern apartments with attractive views over the Thames, the Docks and the O2 Arena. 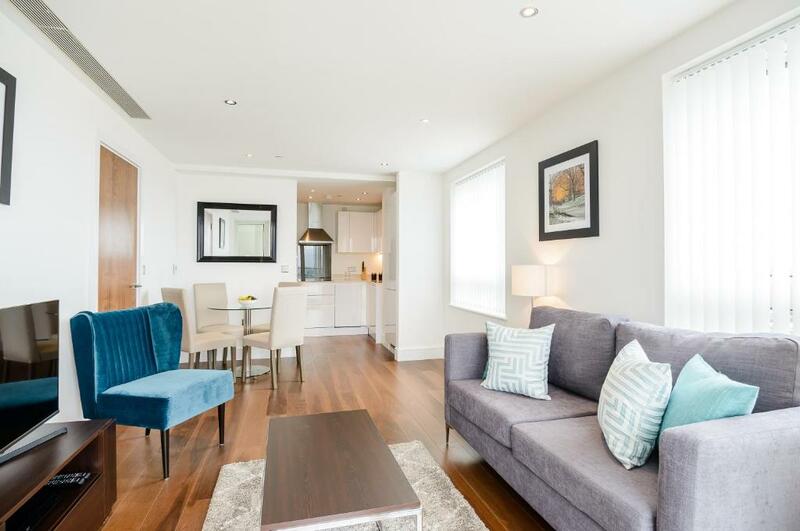 These waterside apartments are fully serviced and provide comfort in modern London. With a stylish urban design, each unit offers a lounge area with a flat-screen TV, DVD player and free WiFi. Guests can also benefit from a washing machine and a modern bathroom with free toiletries. Most Native apartments include a full kitchen with a dishwasher, oven and a microwave. There is also a dining area, where guests can enjoy self-prepared meals. 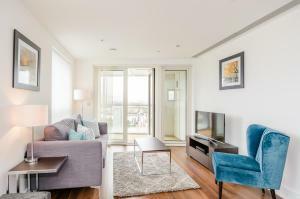 When would you like to stay at Native Canary Wharf? This stylish studio features a fully equipped kitchenette, comfortable living area and modern bathroom complete with White Company toiletries. Providing privacy and comfort, this one-bedroom apartment has a separate lounge with a flat-screen TV and DVD player. Guests can also have a washing machine, oven and microwave. 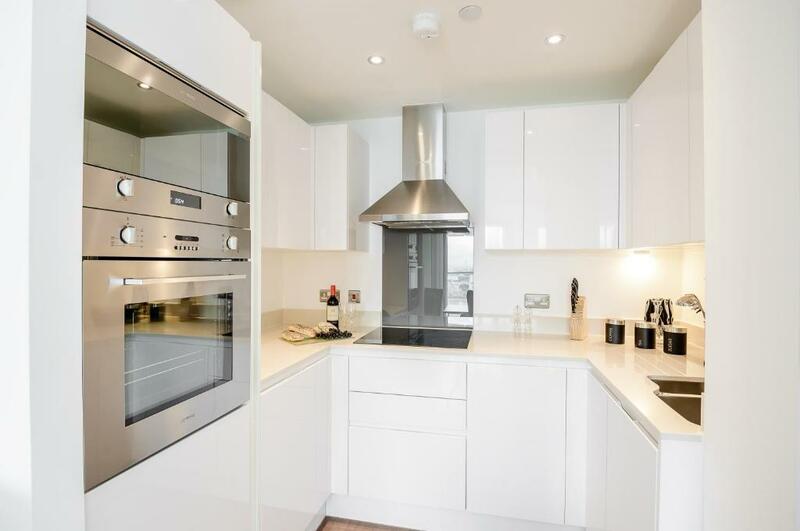 With a stylish minimalist design, this modern apartment offers a spacious kitchen complete with dishwasher, oven, washing machine and plenty of storage space. There is also a work desk and a flat-screen TV with DVD player. 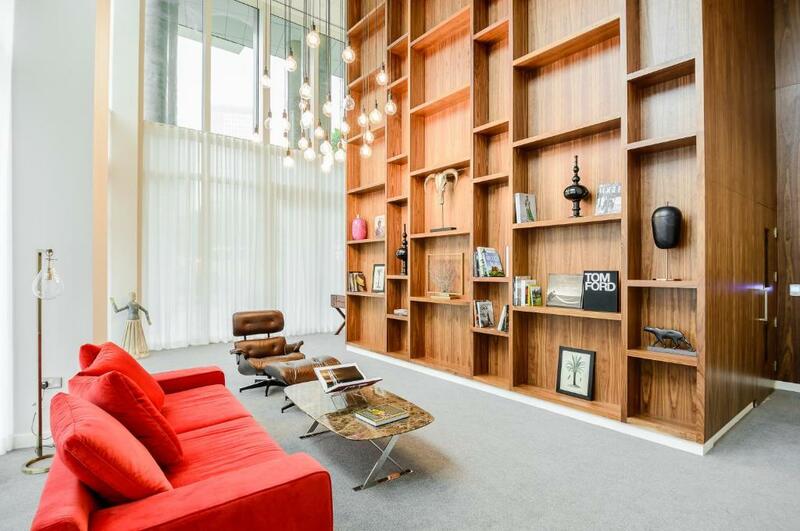 The large pristine lobby welcomes you to Lincoln Plaza, there’s so much to discover including a quiet library space, double height Winter Garden with views of the O2, roof terraces and a cinema. Our apartments have fitted kitchens and the spacious living areas with designer sofas and soft lighting. Cosmopolitan living in a gleaming high rise apartment block. Hello there, we are Native. Here’s what makes us tick. Unique apartments where guests have space and freedom to feel right at home right away. Eclectic buildings of all styles, shapes and sizes and authentic local experiences. We love to share our local knowledge so our guests are always in the know. Our Natives always go that extra mile. If you haven’t booked one of our apartments before, then prepare to transform the way you stay. If you’re looking to break free from the shackles of hotel rules and don’t want to run the risk of an unresponsive host or lack of privacy then we’re right up your street. While not every property has a concierge, we have a full-time team available 24/7 to be on-site to help with any issue big or small. Whether you stay with us for as little as one night or as long as a few months, you’ll always get a Native welcome. Once industrial, Canary Wharf is now bright and buzzing. It has 120 stores across 5 shopping malls selling everything imaginable. Head to the Giant Robot for an indoor street feast or try incredible global dishes at KERB street food market near West India Quay. We’re available 24/7 from the moment you arrive. If you want to know the best place to go for a great British fry-up or happy hour cocktails, our Natives will tell you the best spots on your doorstep. Look out for our Neighbourhood Guide in your apartment, introducing you to our favourite locals. 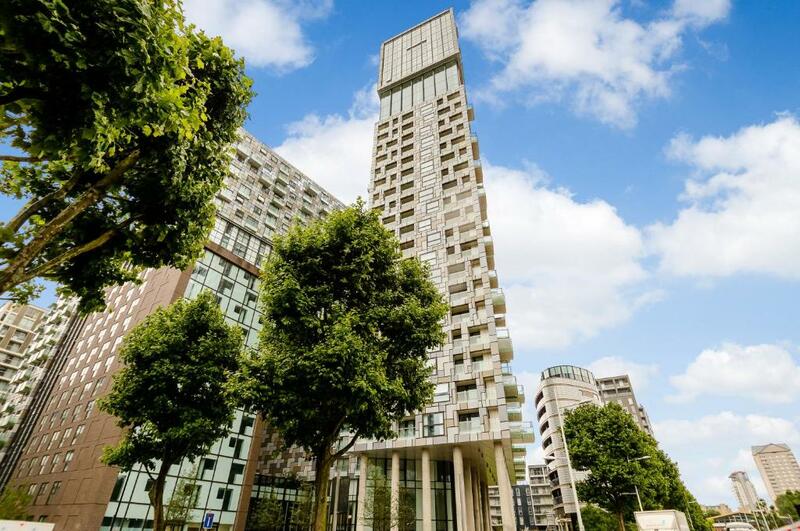 House Rules Native Canary Wharf takes special requests – add in the next step! Native Canary Wharf accepts these cards and reserves the right to temporarily hold an amount prior to arrival. Payment for a non refundable reservation needs to be processed via an online payment link. Guests will receive an email direct from Native labeled, It s time to pay, within minutes of making the reservation, within this email will be an option to open a secure payment page which is to be used to process payment for the reservation. The card details supplied to booking.com via the guests are purely to secure the reservation and are only used for penalty charge purposes. Please Note: The housekeeping service is provided on a weekly basis. We do not accept cash payments. We have a strict no party policy. There wasn’t many utensils or even salt/pepper in the place. Also, 18th floor and one lift was broken so always long waits. Very clean, modern and great! As we checked out, we were called by a manager who was extremely rude to us for being late. Shame. Slight hassle during late checking in as no proper reception Slight confusion in finding the apartment on arrival. No luggage storage However, would definitely stay here again despite all that is mentioned. 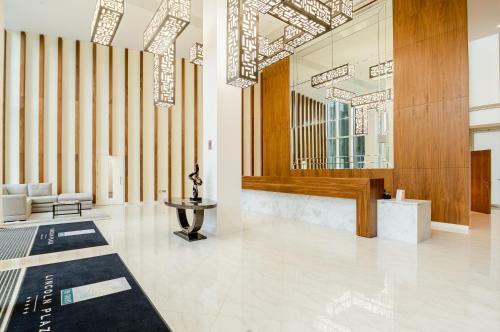 Extremely luxurious and spacious with excellent facilities. Cleanliness top notch. Good location with easy transportation access. It was quite difficult to locate the property. Directions referred to Lincoln Plaza. However this name was inside the building and not visible from the road. Had directions mentioned the names marked on the building- Duckman Tower or Talisman Tower, it would have been much easier to find. Clean and comfortable apartment close to DLR station and supermarket.